The basic premise of Bordwell's theory is that narration is the central process that influences the way spectators understand a narrative film. Moreover, he argues that spectators do not simply absorb a finalized, preexisting narrative, but must actively construct its meaning. Bordwell develops his theory within what is called the 'constructivist school' of cognitive psychology, which studies how perceivers 'make sense' of the world from inherently fragmentary and incomplete data and experiences. For example, we can only directly see three sides of a six-sided solid cube. But from this incomplete experience, we complete the cube by 'appending' the other three sides. Bordwell and other cognitive film theorists argue that film is like a six-sided cube in which spectators see at most only three sides on screen. The spectator has to complete the film by appending the other three sides, so to speak. In Chapters 3 and 4 of Narration in the Fiction Film Bordwell outlines a cognitive theory of film that tries to explain how spectators complete a film's narrative, rendering it coherent. Spectators are not free rational agents who can simply 'fill in the gaps' in a film in any way they wish. Instead, intersubjective norms, principles, and conventions guide them. When watching a narrative film, spectators do not simply 'absorb' the data, because it is not complete in itself. Instead, they have to process this inherently incomplete data. And they process it using what cognitive psychologists call schemata - norms and principles in the mind that organize the incomplete data into coherent mental representations. Schemata are activated by 'cues' in the data. Bordwell notes that gaps in the data are the most evident cues, for they are simply the missing data that spectators need to fill in. For example, a cube 'suggests' its three hidden sides (the missing data) by a variety of cues, including the way the three visible sides are projected in space, the way the visible sides form edges, and so on. More accurately, the cube cues us to fill in the three hidden sides. This process of filling-in is called hypothesis or inference generation. Nearly all story-comprehension researchers agree that the most common template structure can be articulated as a 'canonical' story format, something like this: introduction of setting and characters - explanation of a state of affairs - complicating action - ensuing events - outcome - ending. Moreover, comprehension of a narrative is made easier if it is organized around a goal-oriented protagonist - a character who drives the narrative forward towards his or her predefined goal. Spectators do not, therefore, enter the cinema with a blank mind and passively absorb the film's narrative. Just as each language-learner internalizes the rules of his/her native language, so each film spectator internalizes a schema, a template or set of norms and principles with which to comprehend narrative films. In Western societies, spectators internalize a schema called the canonical story format. But exactly how does the narrative schema work? Bordwell notes that, when spectators are presented with two events in a film, they employ the narrative schema to . attempt to link the events together - either spatially, temporally, and/or causally. As the film progresses, spectators rearrange events, disambiguate their relations and order, and in doing so, gradually construct a story. Following the Russian formalists, Bordwell calls the resulting story the fabula: 'the fabula embodies the action as a chronological, cause-and-effect chain of events occurring within a given duration and spatial field' (Bordwell 1985: 49). Bordwell calls the actual order in which the fragments of the fabula events are presented the plot, or syuzhet: 'The syuzhet (usually translated as "plot") is the actual arrangement and presentation of the fabula in the film. It is not the text in toto. It is a more abstract construct, the patterning of a story as a blow-by-blow recounting of the film could render it' (p. 49). The third element (after the fabula and syuzhet) that influences film comprehension is style, which Bordwell simply defines as a film's 'systematic use of cinematic devices' (p. 50). Bordwell defines narration as a combination of syuzhet and style, which interact with the spectator's narrative schema in constructing the fabula. Bordwell emphasizes that the fabula is a mental representation, and that spectators construct the fabula on the basis of cues in the syuzhet (and style) interacting with the narrative schema. Moreover, he argues that the key to comprehending a particular film is determined largely by the relation between the fabula and the syuzhet - or, more specifically, by whether the syuzhet facilitates or blocks the spectator's construction of the fabula. Because the film's fabula is a mental representation the spectator constructs during her ongoing experience of the film's syuzhet, the fabula is in a constant state of change, due to the spectator's ongoing generation of new hypotheses, strengthening of existing hypotheses, and abandonment of existing hypotheses. Spectators may need to abandon hypotheses because they only have a probable reality. Or they may generate several conflicting hypotheses on the basis of a few cues, and then reduce them as the syuzhet presents additional cues. 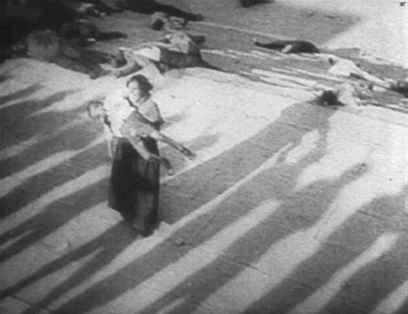 Moreover, a film may deliberately lead spectators to generate incorrect hypotheses (the phenomenon of unreliable narration2), or the film may deliberately challenge the canonical story format: 'If the film does not correspond to the canonic story, the spectator must adjust his or her expectations and posit, however tentatively, new explanations for what is presented' (Bordwell 1985: 36). This is the case with Lost Highway.